What do you do? And other interesting questions. I took a break from my duties as Area Program Director for West Africa to visit New Jersey and to preside at the wedding of a young woman I confirmed about seven years ago. It was fun doing the work that parish pastors get to do, again. As an APD I don’t get much opportunity to preach or preside at weddings, baptisms, or sit with families as they grieve the loss of love ones. I don’t get to be present at a bedside or to say a word of comfort at memorial services on a regular basis anymore. I miss doing these things and I am happy when I am invited to function in these ways that are so familiar to me. 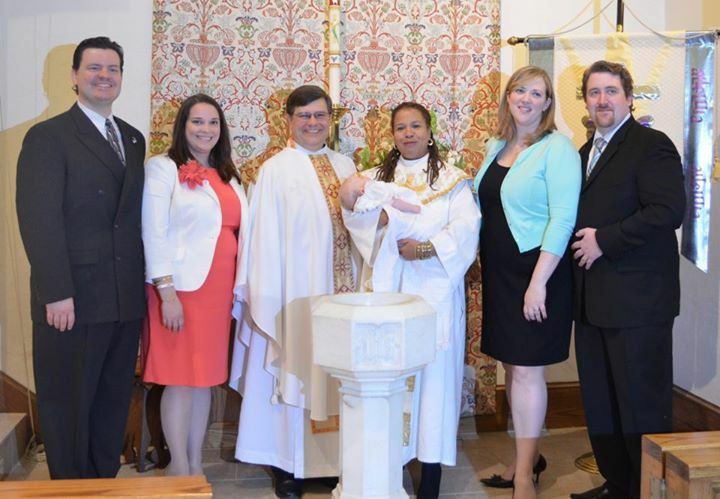 In April, I was able to preach at a former intern’s ordination and also at the baptism of a young couple who I grew (and vow to remain) very close to in the last few years. I have been invited to preach at two friends’ congregations, one in July and one in August. I am thrilled! I will have the opportunity to preach the gospel, advocate for Global Mission, World Hunger and explain what I do. Last week at the wedding, I spent a lot of time answering the question: “who are you?” and “what do you do? First, I had to explain to many of the people gathered, that I wasn’t some random person that was hired as part of a package at this particular venue, but that I was the former pastor of the young woman who was getting married. 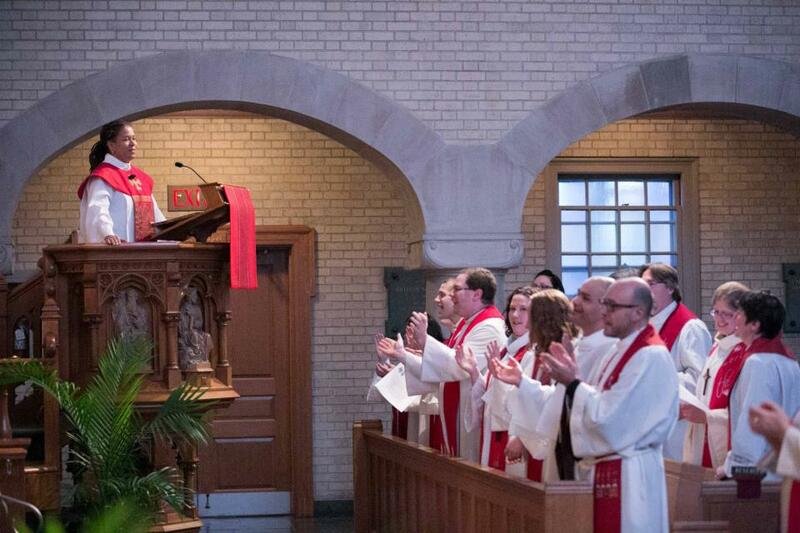 And while no longer the pastor of that congregation, I was now working in the churchwide offices of the Evangelical Lutheran Church in America (ELCA). “What do you do?” I was asked again and again. I answered by telling people that I accompany Lutheran Churches in West Africa and I oversee programs and projects that the ELCA supports. “That’s a lot of responsibility isn’t it?” Some asked; “you must have a big heart?” others exclaimed. To tell you the truth, some days I am not sure about all of this responsibility and I haven’t figured out yet exactly what I do. I know that my job consists of traveling to Central and West Africa; I know that on most days I open lots of e-mails and respond to questions about programs and funds and personnel.I get to sit in interviews, meetings and great conversations. I get to talk and laugh with colleagues from all around the world. I am not so sure that my heart is so big except that I have a heart for doing what God has called me to do. My job includes praying for those in the Central African Republic who are experiencing conflict and tragedy. It includes being concerned with whether or not global personnel are doing work that gives them life. It includes making mistakes and doing the wrong thing a lot of the time. This new vocation includes struggling to read e-mails written in French and wondering will the language ever make sense. 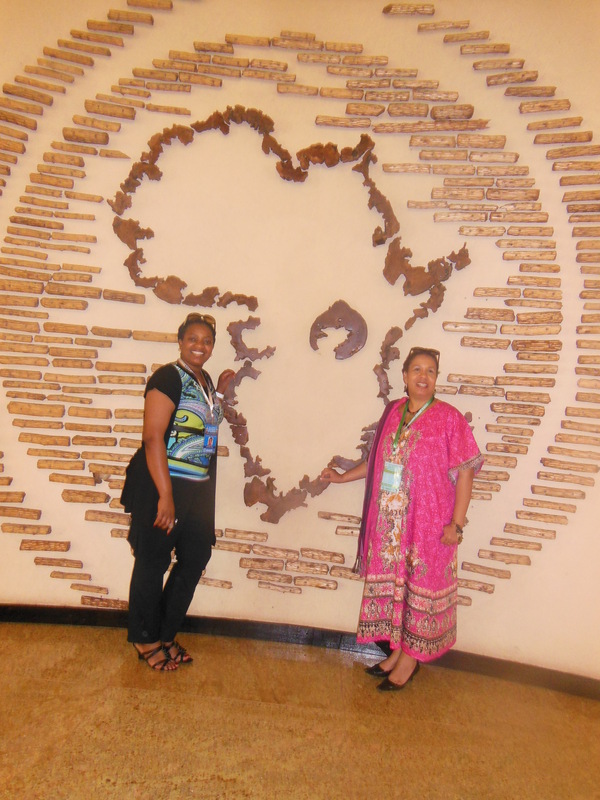 Last week, my Southern Africa Area Program Director colleague and I took a ten-hour plane ride to Istanbul and then another six-hour ride to Kigali and then forty minutes on to Entebbe in Uganda. 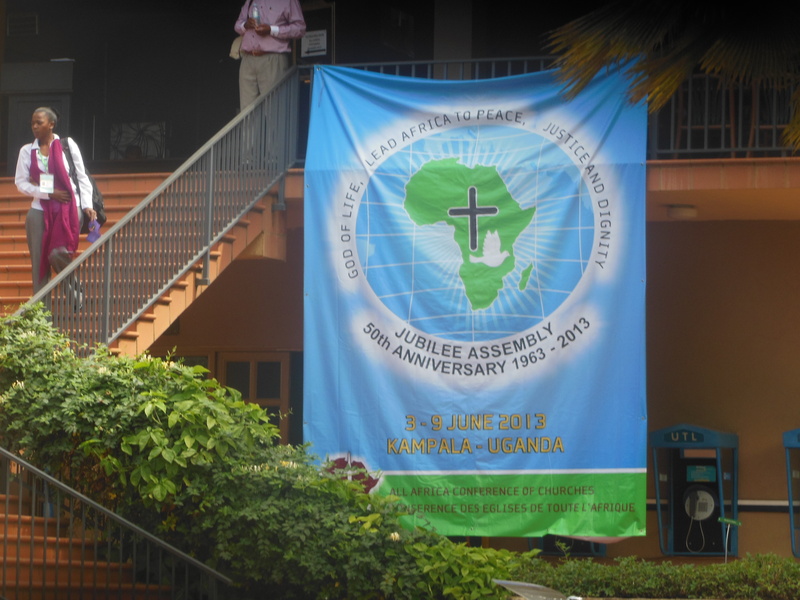 We were going to the All Africa Conference of Churches Jubilee Assembly. It was my first opportunity to go to such an event and Ben was taking me along to introduce me to some folks. There was no hesitance once I found out that Grace was in seminary. 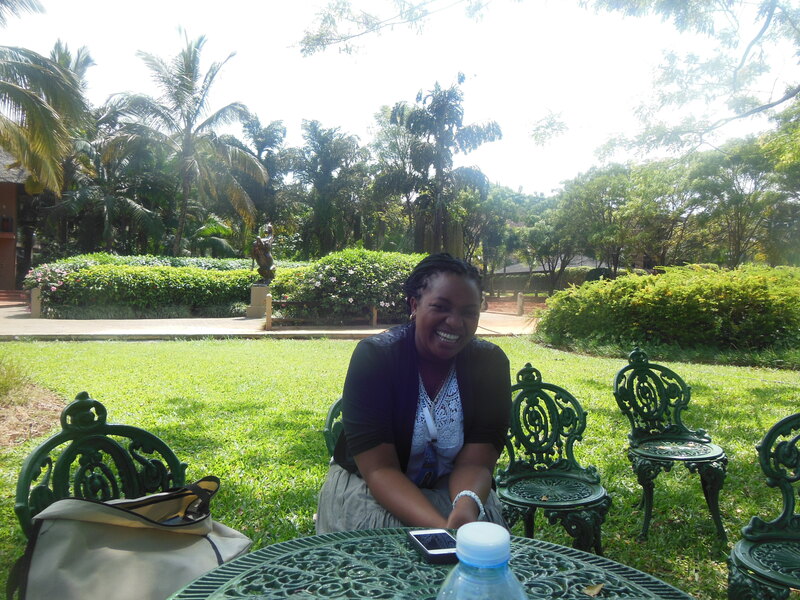 She was going to Kigali, Rwanda to spend three months doing mission work as her field experience for Princeton Seminary. So she is going to be what we would call in our Global Mission language a “short-term missionary.” She was doing this work as part of her journey to being ordained in the Presbyterian Church. I told her that I worked for the ELCA and she asked was a pastor. I told her I was and we talked a little about my last call in Summit, New Jersey. She got excited about meeting a female pastor. And so as we returned to our seats the conversation continued. I told her that being a pastor is the most wonderful, terrible think you can do. And you know it is… full of excitement, heartbreak and love and I cannot imagine my life doing or being anything else. It was delightful to have this conversation and to be reminded of all that God has done in my life. God has indeed provided for me in this vocation much joy, adventure, love and of course grace. Plane rides are a pretty frequent occurence for me these days. And when I say plane rides I mean longggggggg plane rides. These long plane rides started in January when I flew eight hours from Chicago to Brussels and then six hours from Brussels on to Yaounde Cameroon. I am also becoming use to hopping plane rides. If you don’t know what I am talking about it is that ride that takes you from Yaounde to Douala to Accra to Lome to finally your destination. You go up and down, short hops, until you get there. Sometimes all this hoping make for a long plane ride. I have even become accustomed to itty bitty planes. Wonderful and interesting things happen as a result of plane rides. 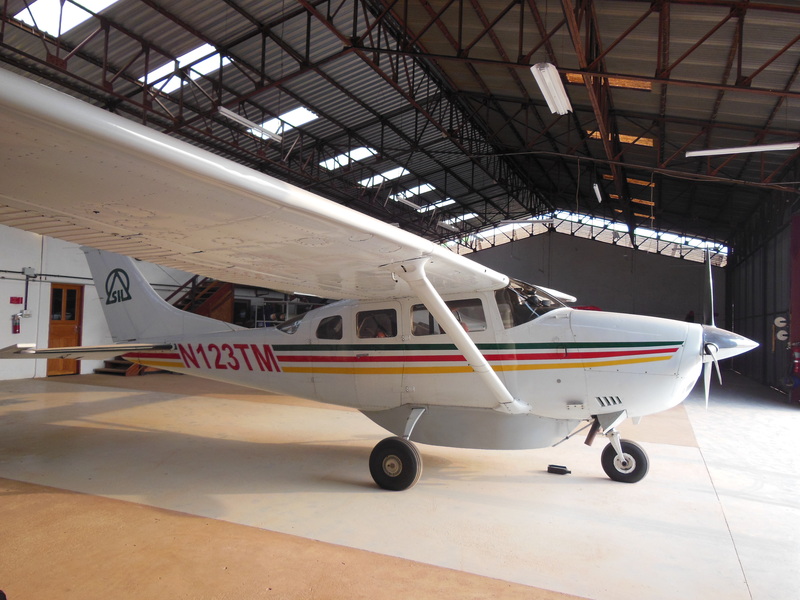 I have discovered that I can fly in a six seater and not get motion sick. I can also get reading and writing and a little sleep on long plane rides and I can meet interesting people. In April, flying to Liberia I met Grace. We stood in line together at the airport. Grace has a PH.d in some science/medical field that I cannot pronounce of spell; she works in California. She was flying back to the continent of her birth, Africa, for a family funeral. We talked exchanged information and promised to keep in touch. Grace is looking for the possibility of doing public health work for a non-profit and has since sent me her resume. It was good to find a companion to talk and break up the long journey from Cameroon to Belgium and then to Liberia. On this job I will have lots of encounters, lots of conversations and meet lots of people, but seems so far I am meeting more than my fair share of people named Grace. You decide whether it is a coincidence or not.